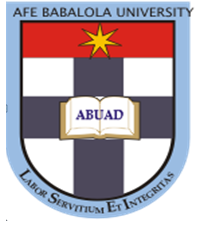 Afe Babalola University, Ado-Ekiti (ABUAD) International Study Center [ABISC] Basic, Pre-Degree, Cambridge Advanced Level, Degree Foundation, International Examinations Admission Form, Courses, Admission Requirements, Duration, Application Guidelines for 2019/2020 Academic Session. Applications are invited from suitably qualified candidates for admission into the Afe Babalola University, Ado-Ekiti (ABUAD) Pre-Degree, JUPEB/Foundation, Cambridge Advanced Level Programmes for the 2019/2020 academic session. he Degree Foundation Programme is mainly designed for candidates who have satisfied the minimum university admission requirement, that is, five O’Level credit passes at a sitting or six O’Level credit passes at two sittings including English Language, mathematics and other relevant subjects. The International Examination Programme under specialised teachers prepares students for GRE, GMAT, SAT, IELTS, TOEFL, etc utilising specialised facilities to easily make good score that meets the requirements of the admitting overseas universities.